It is advisable that you bring as much of this equipment with you as is possible less tanks and weights of course. That way you will be using equipment you are familiar with and get the opportunity to fine-tune it for use in the cavern environment. Anything on the list you do not have can be provided at daily rental rate. Personal items: We recommend you to bring the following personal items with you: towel, swim suit, biodegradable sun screen, insect repellant and just a small amount of cash. Please do not bring valuable items to the Cenotes. 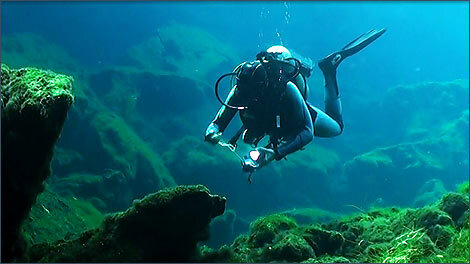 Note: Snorkel, Gloves and knifes are forbidden in Cavern Diving.